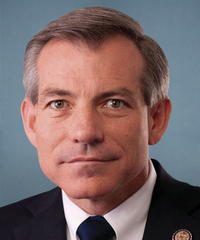 David Schweikert has served in the US House of Representatives since 2011, representing Arizona’s 6th congressional district. He previously served in the Arizona House of Representatives from 1991 until 1994. Schweikert supports efforts to limit new national monument designations, and opposes limits on public lands transfers. He also opposes permanent reauthorization of the Land and Water Conservation Fund, sage grouse conservation, and efforts to reduce methane emissions. Rep. Schweikert supports limiting new national monument designations. Schweikert opposes permanent reauthorization of the Land and Water Conservation Fund (LWCF). Schweikert opposes limits on public lands transfers. Schweikert opposes sage grouse conservation plans. Schweikert opposes reducing methane emissions.